Even though superheroes are incredibly popular today, the original comics were released a long time ago. The stories have changed a lot over the years, and some really strange things happened to your favorite characters that you've probably never even heard about. 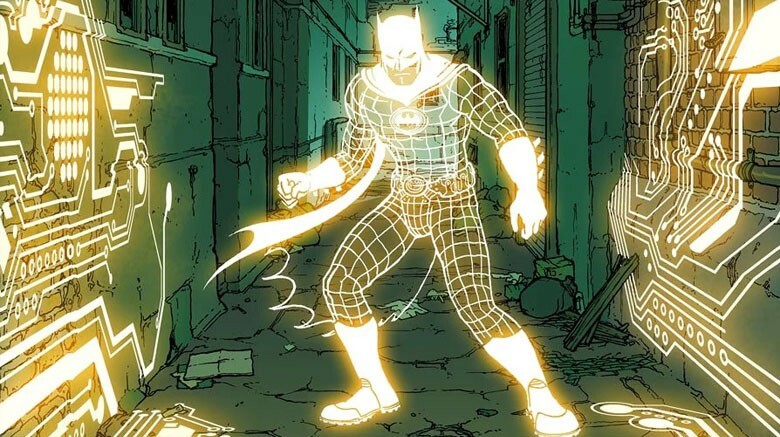 Some comics really pushed the limit by introducing some insane and even absurd things in the stories, so here are 5 of the most bizarre and freakiest things that your favorite superheroes ever did. In 'Thor: Ragnarok', you might have heard a joke about Thor getting turned into a frog by Loki. 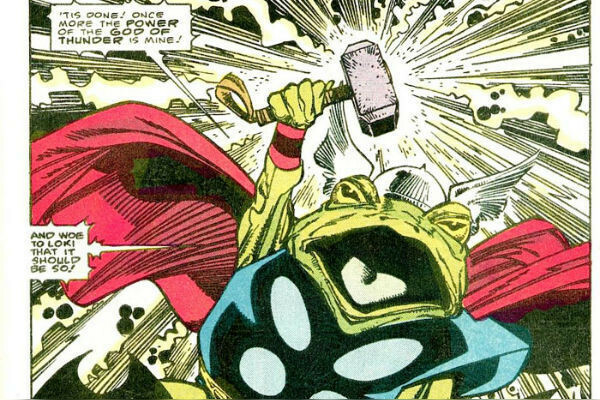 The joke in the movie is actually an easter egg referring to an issue of Thor from the 1980s in which the God of Thunder actually becomes a frog. Loki hits a woman from Earth with a special ray which transfers his powers to her, and when she kisses Thor, the unexpected transformation happens. The cover of the issue called it one of the weirdest Thor comics ever and the story ran for four issues. Even though Thor restored his original form in the end, Marvel's idea of a Frog Thor was never dismissed. In 2009, Marvel introduced Throg, a new character in amphibian form which shares some of Thor's powers and is a part of the Pet Avengers. Superman's powers have evolved a lot over the years, and some of those powers were quite unusual. In some comics, he used the powers of super-mathematics, super-ventriloquism, super-dancing and even, super-weaving. 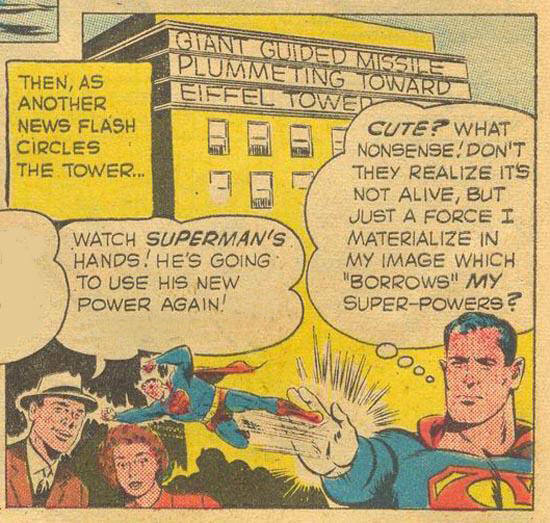 However, one of the strangest things Superman ever did happened when an alien rocket caused him to lose his powers and the only ability he was left with was to fire a tiny version of himself from his hand. Even though the tiny Superman was quite effective at fighting villains, he gave up his life to save the original Superman and restore his powers. 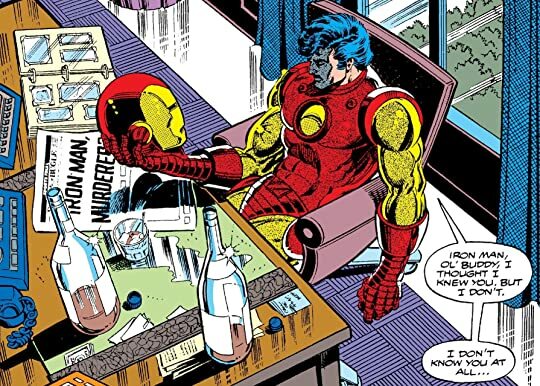 Everyone knows that Tony Stark aka Iron Man is kind of obsessed with himself and even though you can see that in the comics, one issue was particularly freaky. Namely, in one comic, his suit comes to life and goes absolutely insane. At first, the suit seems normal, but when Tony falls in love with a woman, the armor gets jealous and turns evil. Tony wears another suit, and the sentient goes berserk, ripping his suit off and torturing him because it feels cheated. The sentient then kidnaps him, and when Tony tries to get away, he gets a heart attack, and the armor wants to save him, sacrifices itself and its heart to save Tony. In one truly bizarre story, Batman travels through time, and when he comes back, he decides to change things in the present and tries to reinvent the internet. Batman creates a new internet called 'Internet 3.0' and together with Batgirl, they start to fight against cybercrime. Batman makes a new virtual world full of schools, museums, and stores, and even plays virtual golf, travels around the world and watches some dinosaurs. Basically, Batman creates a virtual world similar to 'Second Life,' but there's one catch. If someone dies in 'Internet 3.0', they would die in the real world too. In the DC universe, Superman was known as Superboy when the parents of Bruce Wayne were murdered, and he might have been able to save them but didn't. Superboy met Bruce and his dad when they relocated to Smallville for a while, and Superboy noticed that Bruce liked to fight crime. Bruce even called himself 'The Flying Fox,' and wore a disguise, and Clark Kent worked with him. 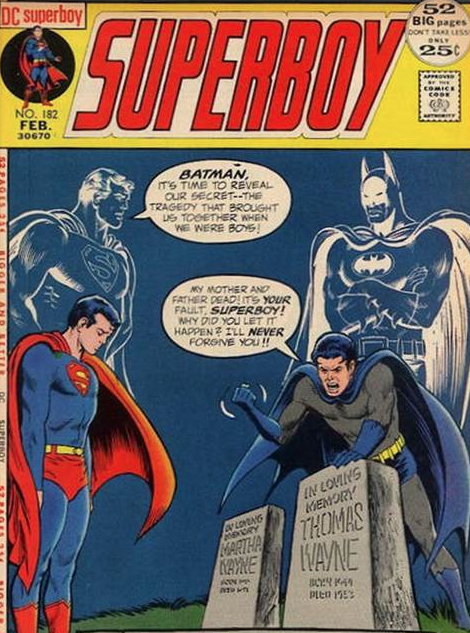 Also, Superboy had a 'time telescope,' and he was able to see that Bruce would become Batman in the future. However, this also means Superman knew that Bruce's parents would die, and he did nothing to prevent their deaths. When Batman found out that Superman could have saved his parents, the Man of Steel had to wipe his memory, and the two were pals yet again.